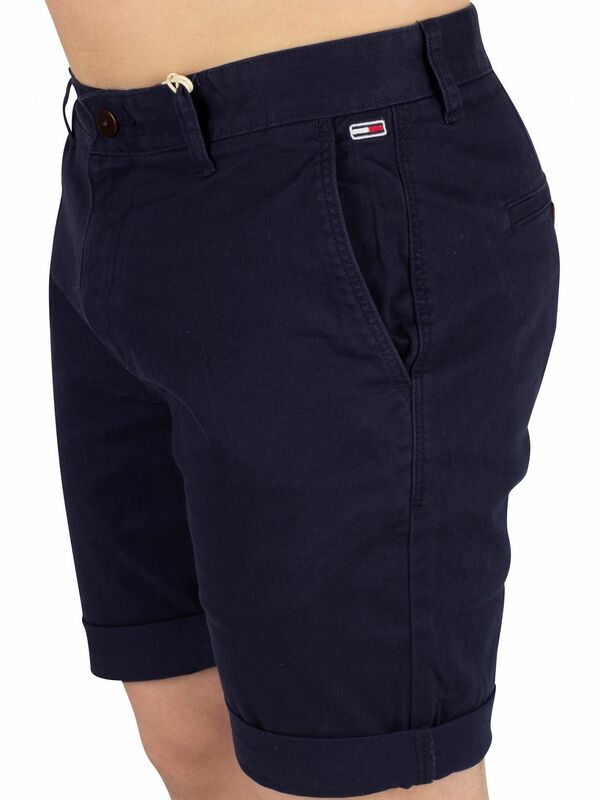 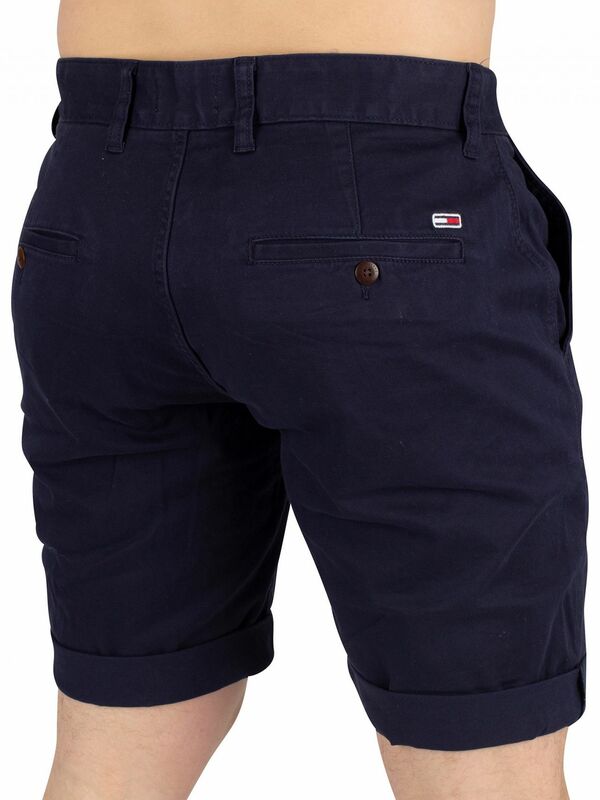 The Essential Chino Shorts from Tommy Jeans comes with open side pockets and buttoned back pockets, featuring buttoned back pockets with embroidered logo. 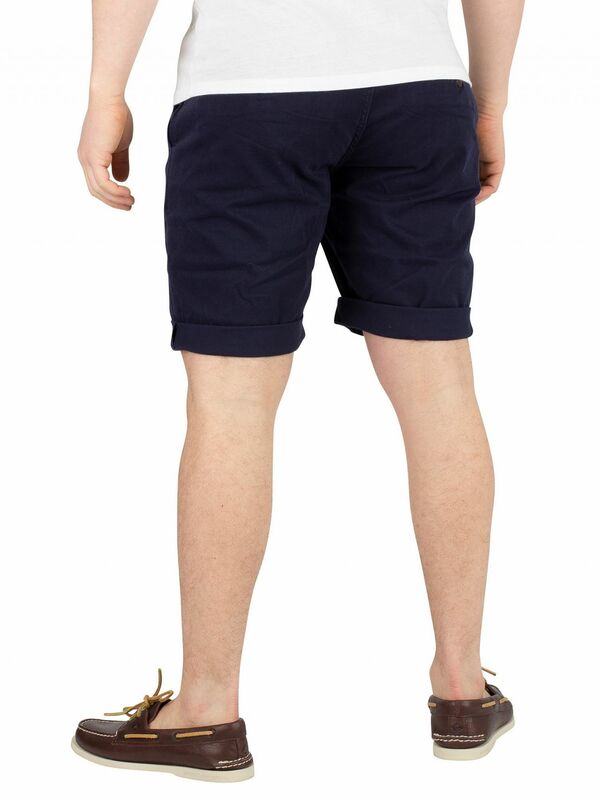 Along with branded buttons, this pair of straight fit shorts also sports an embroidered logo above left pocket. 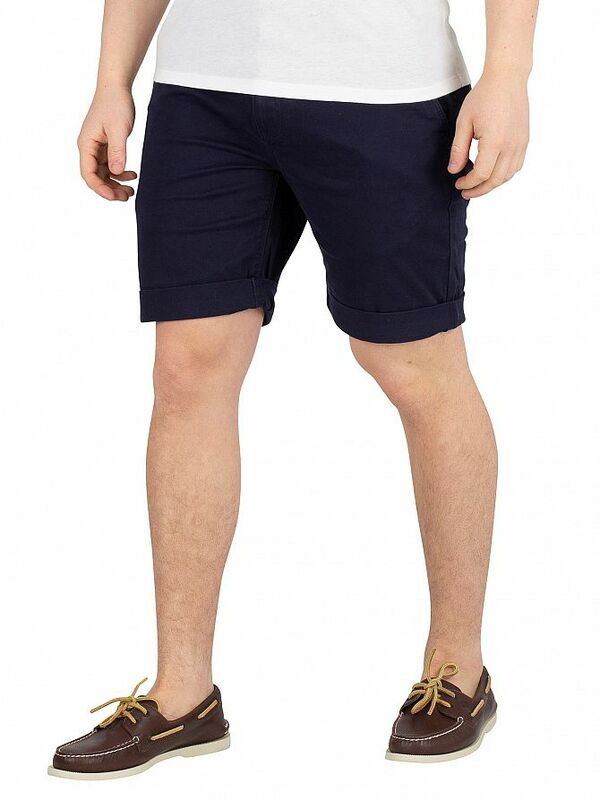 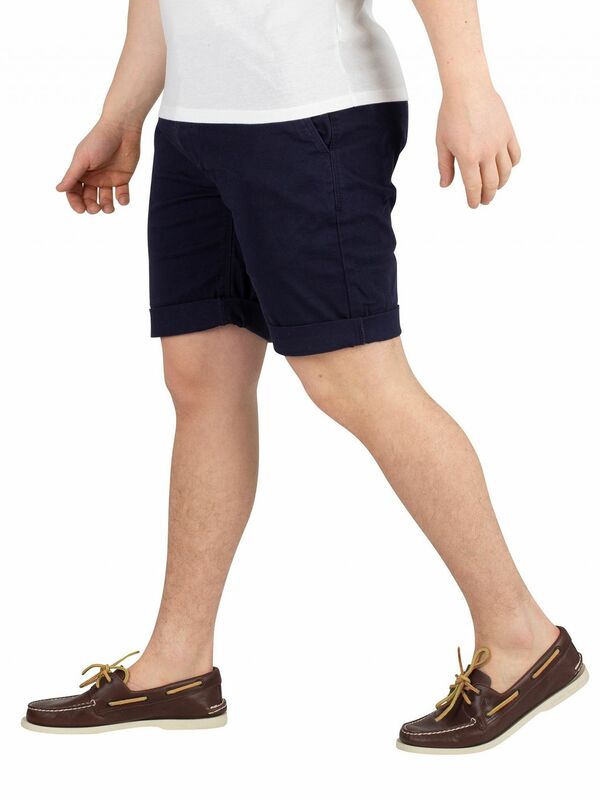 Coming in Black Iris Navy colour, these shorts sport a zip fly and button closure.